A company called AGA is about to deal a real blow to the frozen dinner industry. Its new iTotal Control stove can be remotely operated from a phone or computer with a net connection, letting users remotely turn on their oven, ensuring a hot meal awaits them when they get home. The iTotal Control stove comes with an active SIM card so users can turn on the oven, the burners, and even specify a specific cooking mode like simmer, all from a simple text message. And when the command is received, the stove will respond with a confirmation SMS so the user knows the appliance has come to life. 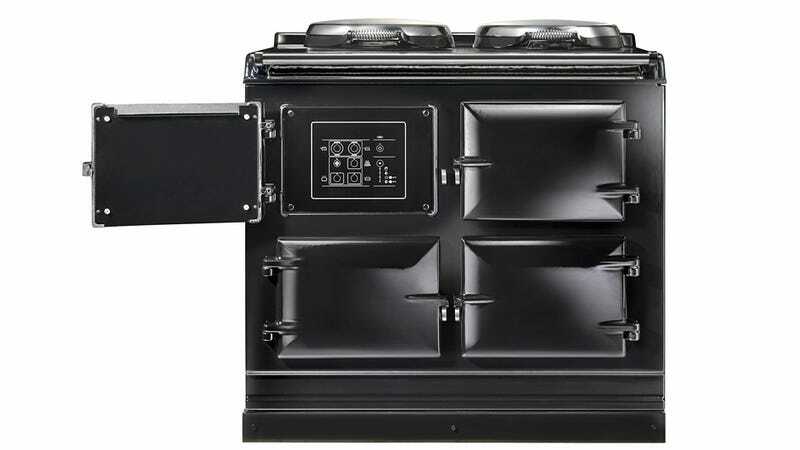 But since the stove stays connected to the internet all day, users also have the option of logging into a website after registering their appliance, or downloading an iOS or Android app, which all provide a streamlined graphical interface for operating the iTotal Control.